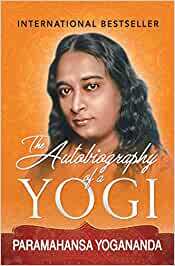 Autobiography of A Yogi' tells the life story of Paramahansa Yogananda, one of the best spiritual books ever written. This introduces western readers to India's ancient science of Yoga. 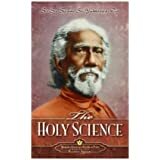 This book is a must read for anyone interested in spirituality, God-realization and the laws behind miracles. The book covers Yogananda’s remarkable childhood and describes his search for his guru, Yukteswar Giri. 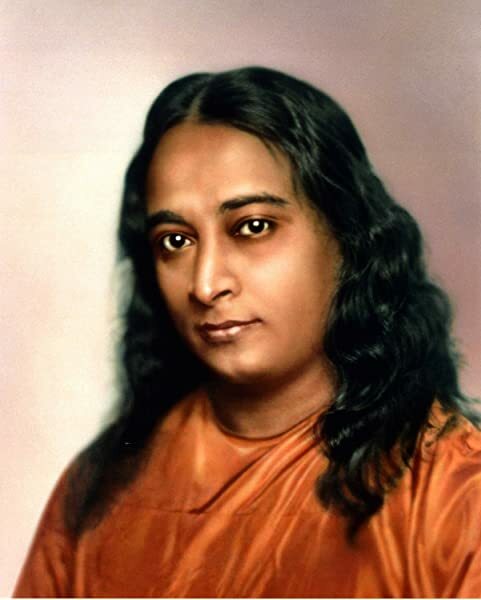 Yogananda then spent ten years in training to become a yoga master. He taught many others The Science of Kriya Yoga, a technique that was initiated by Yukteswar. The Yogi also established a school by the name of Yogoda Satsanga Brahmacharya Vidyalaya. Sold by Yogoda Satsanga Society of India and ships from Amazon Fulfillment. Paramahansa Yogananda was born in as Mukunda Lal Ghosh. He was an Indian yogi and guru. 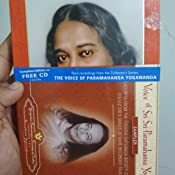 Some of the books written by him are Karma and Reincarnation, How To Have Courage, Calmness and Confidence: The Wisdom Of Yogananda 1st Edition, The Bhagavad Gita 1st Edition and Whispers From Eternity 1st Edition. At the age of 17, in the year 1910, he found his guru Swami Yukteswar Giri. Yogananda graduated with a B.A. from the Serampore College and in 1915 took vows to join the Swami Order. Here, he was given the name Swami Yogananda Giri. The Yogi established the Yogoda Satsanga Society of India in Ranchi. In 1920, he was sent to Boston to attend the International Congress of Religious Liberals. He lived in America for the next thirty years (1920-1952) and taught the soul-awakening techniques of Kriya Yoga to many people. Yogananda visited India in 1935, where he was given the monastic title of Paramahansa, which represents the highest spiritual attainment. The Yogi passed away in 1952 and his funeral service was attended by with hundreds of people in Los Angeles. On his twenty-fifth death anniversary, the Indian government issued a special commemorative stamp in his honour. 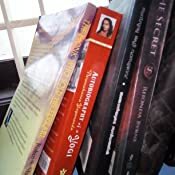 Start reading Autobiography of a Yogi on your Kindle in under a minute. Must buy and read for every human on this earth. Excellent book or I should say bestest product till date I have bought it. Steve Jobs talked about it and gifted to his family. Virat Kohli tweeted about it. PM launched stamp on Shri Paramhansa Yogananda and many more by many people. It's an amazingly beautiful book that is NOT preachy in the least bit, and it helps the reader gain insights into his/her self. It does not glorify the author, or attempt to be pretentious. It flows smoothly, is candidly written and best of all helps the reader gain glimpses of their own soul or life without practising grandiose ideas or rituals. I loved it and think there comes a stage in everyone's life when they would find reading this book helpful, calming and soothing. You wouldn't expect it. But it's GREAT. Go for Hardcover. @ Rs.139 it's a steal. One of most unbelievable books on yoga . 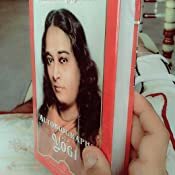 In this book yoganand told about his own life , his childhood when he grave for a kite and got it through his powerful thought power . When he met her mother after dying in the form in dream . Each chapter looks like an episode of a series name "Mystics " of India. And also English used in books comprises a vast vocabulary for competition preparation also . You can read it like a fictional novel. Page quality is very nice at a reasonable price near 120rs . Also it consists a CD . So powerful package for knowledge seekers. Wow wow and wow and who am I to review such an amazing book, nothing that I write can come close to describing what this book has to offer, if you are on a path of self realization then this is the book to read, if you are on a path of yoga then this is the book to read, if you are on a path of meditation then this is the book to read and if you would just like to read cause you are on a path of life then this is the book to read, just buy it dont even think, that's how amazing this read is ................and there is a reason why Steve Jobs who wanted to change the world through technology read this book again and again. It turns you into a believer even if you dont believe in anything. 5.0 out of 5 starsMust read the book. Best spiritual book. It explains Kriya Yoga in detail with scientific explanation for it. We get totally lost in the book by reading the life events of Yoganandji. We come to the depth of Indian philosophy & scripture. Once you read it you will have deep influence on your mind. Total awakening of yourself. We remain awestruck by knowing what Yoga can do. If you want to change your life u should read it. Point to note:- This book shown is small in size with small font like a minibook. If you want to have a good normal big size hardcover book search for it on Amazon. One drawback of hardcover book is that you will not get audio CD with that book. It is only available with mini size book. So order accordingly. 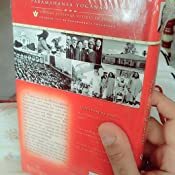 This book is suited specially for those who love reading on the go instead of devouring the whole book in a week or two as it tries to make you engrossed with its meaningful paragraphs which could be easily missed by hasty reading. Overall, a beautiful and engrossing experience you shall get from this book. I got hold of this lovely book after seeing recommendations from Virat Kohli who appreciated this book thoroughly.